An epic new fan-made trailer was released on YouTube last month, featuring members of DC’s Justice League, Superman, Batman, and Wonder Woman, taking on their greatest threat ever, the horror icons Michael Myers from Halloween, Jason Voorhees from Friday the 13th, and Freddy Krueger from A Nightmare on Elm Street, in the ultimate genre mashup! Using clips from this year’s Batman v. Superman: Dawn of Justice along with various shots of our favorite horror killers from their respective franchises, as well as a few fitting surprises thrown in, the super fun video was uploaded on Nov. 6 by Stryder HD Productions. 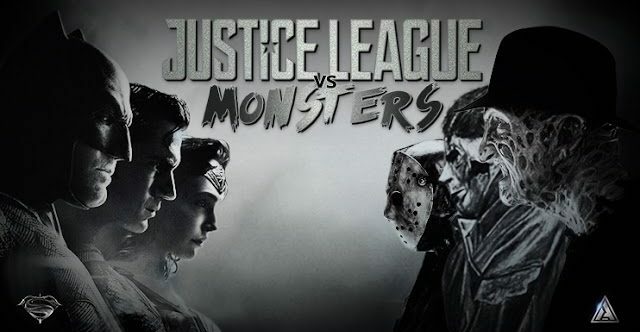 You can watch the killer “Justice League vs. Monsters Trailer” below!